Cooperative team-play with game controlled Zombies. Cooperative team-play with Zombies controlled by a non-team player. Competitive free-for-all with game controlled Zombies. 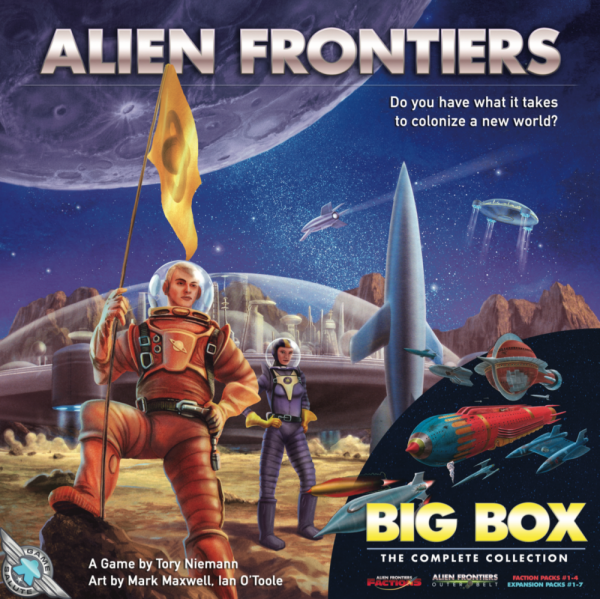 Competitive free-for-all with Zombies controlled by a player. 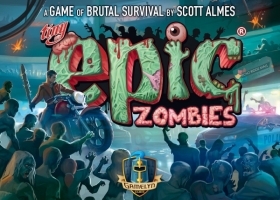 OVERVIEW: In Tiny Epic Zombies, survivors are always on the run, collecting weapons, killing Zombies and working toward completing objectives. Completing 3 objectives can win you the game but if you're too focused on the objectives, the Zombies will overrun the mall and that will be the end of you. 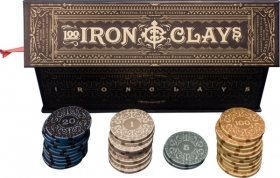 A box set of 100 Iron Clays in 5 denominations. Only two gods will be part of each game session. Randomly draw two god cards and place them next to the board so all players can see their powers. At the end of the initial setup, shuffle the Ragnarök tokens that are not on the board or on the Age Track and draw two of them. Look at the names of the two provinces listed on the tokens and place one god figure in each of them (these Ragnarök tokens are then put aside). Each god's ability is always in effect, changing the rules of the province they're in. The rest of the provinces are not affected. After a player attempts to pillage a province containing a god figure, whether he succeeds in the pillaging or not, he must then move the god to a different unpillaged province that does not contain a god figure. So the two gods can never occupy the same province, and they never go to a pillaged or destroyed province. 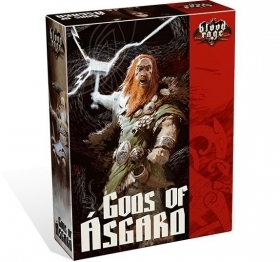 At the beginning of the 2nd and 3rd Ages, the two gods are again placed in random provinces, determined by drawing 2 unused Ragnarök tokens. The combination of the two gods used in each game creates a unique texture to that session. They affect draft choices and influence the flow of the battles. Will your try to benefit from a god's power again and again by moving him where you want and always pillaging his province? Or will you do your best to neutralize him by pillaging around his province? Perhaps you'll want to attempt a hopeless pillage on his province just to move him onto another province where he will hinder another player's plans. 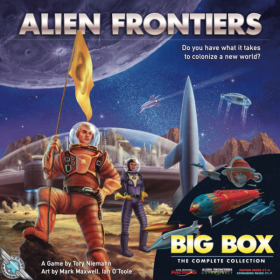 They add a whole new layer to the game, without adding hardly any complexity to the rules. The miniatures each come with a tarot-sized God card.